Di Prima Dolci is a neighborhood bakery with a homey feel to it. Customers all seemed to be regulars and knew each other by name. They come for the breads, sandwiches and even the pizza. I, on the other hand, was there for the Italian pastries. 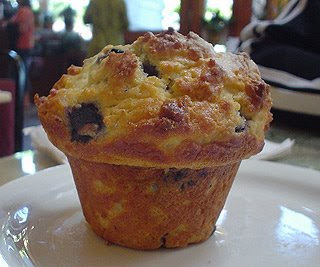 The lemon blueberry muffin, made with ricotta cheese, was moist and flavorful. 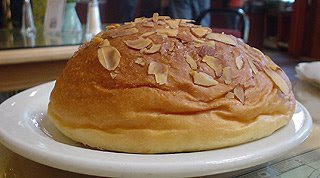 The almond brioche was equally tasty and truly my favorite of the two. What's so special about cheese and salami. 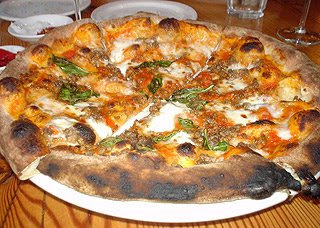 First, it was salami from Salumi (try saying that a few times) in Seattle. I had been to Salumi a few years back and absolutely loved all of Armando's handmade salami. Secondly, the selection of cheese, especially Italian, was immense. Lastly, you were able to sample all of the cheese, meats and olives before putting together your plate. Thus guaranteeing the perfect combination. Probably my favorite meal of the whole trip was at Pazzo. 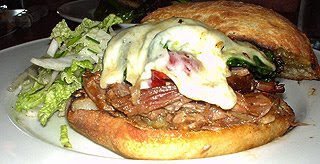 Located inside the Vintage Plaza Hotel, Pazzo served up some excellent quality food. 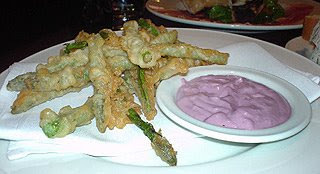 The tempura battered asparagus was accompanied by a Chianti aioli dipping sauce, an odd but delicious combination. 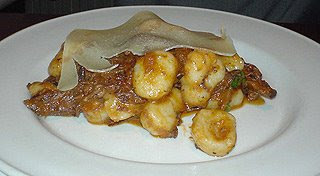 The gnocchi were soft and pillowy, just like you would expect, accented perfectly with wild boar and topped with thinly sliced Pecorino cheese. 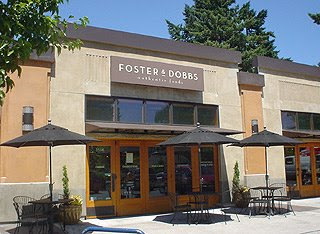 Although, I didn't get to see many tourist attractions, I can definitely recommend Portland for it's great food. I, too, was recently in StumpTown. While I was wholly unable to truly 'complain' about the food, I also did not find anything spectacular. Based on things I have heard in read, I hope I just didnt look in the right places. I did find (no surprise here) a decent pizza. Old Town Pizza on NW Davis St, just off 3rd made a killer Pesto special... good flavor to the pesto without being overkill. Cold beer too- which I am always pleased to find. Nice setup- older building with some character.